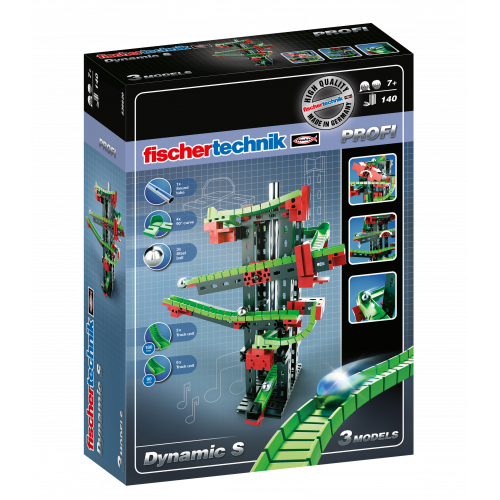 Ball obstacle course and fischertechnik: two classic toy systems guarantee lots of fun! 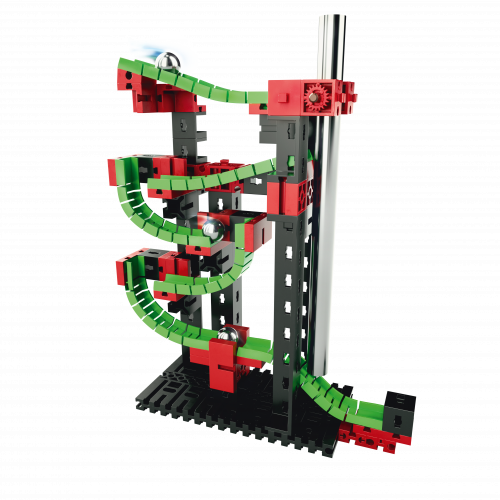 The ball starts in the obstacle course and accelerates until it reaches the cross-over, where it drops further before racing down two different tracks - to the left and to the right! In the title model, the ball flies through several 90° curves and over a teeter-totter before brushing against the sound tube – "BING"! The balls are collected at the end of the course and can be easily removed again. 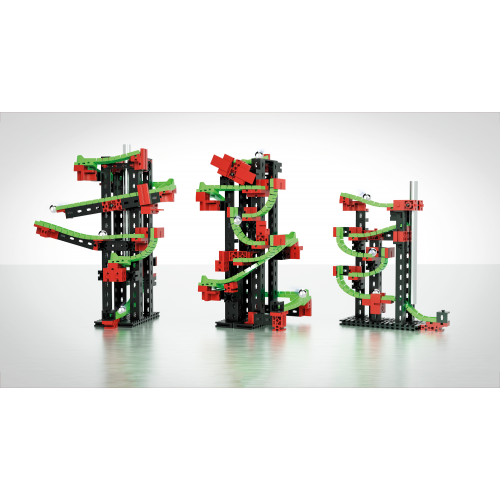 Three impressive obstacle courses can be made with the assembly instructions from more than 140 parts. Young engineers also have plenty of scope for making many other courses according to their own ideas. 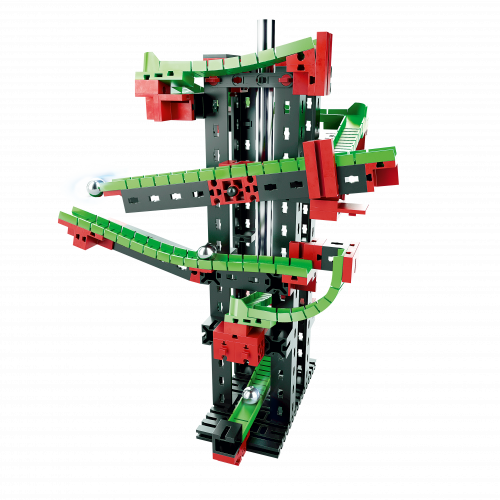 Three models: simple obstacle course, action obstacle course and obstacle course with twin tracks! 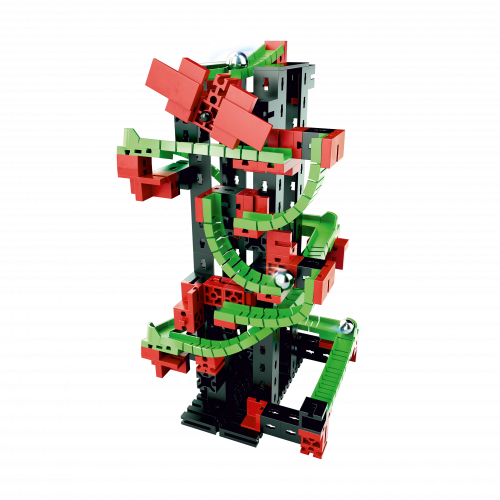 Get completely immersed in the fascinating, creative world of the fischertechnik ball obstacle course for heaps of action.